This A.M. 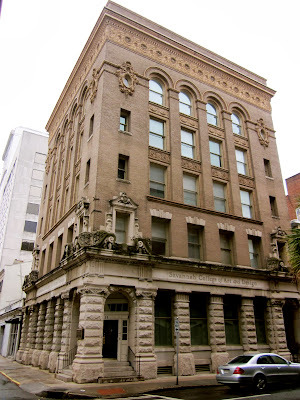 I want ya'll to know Savannah, Georgia is one heck of an eatin' town! Steve and I drove up to Savannah last week and enjoyed all the historic sights and some great meals. Dinner the first night was at Vic's on the River. We ordered for starters a crab and mango tower, butternut squash soup and chicken livers. 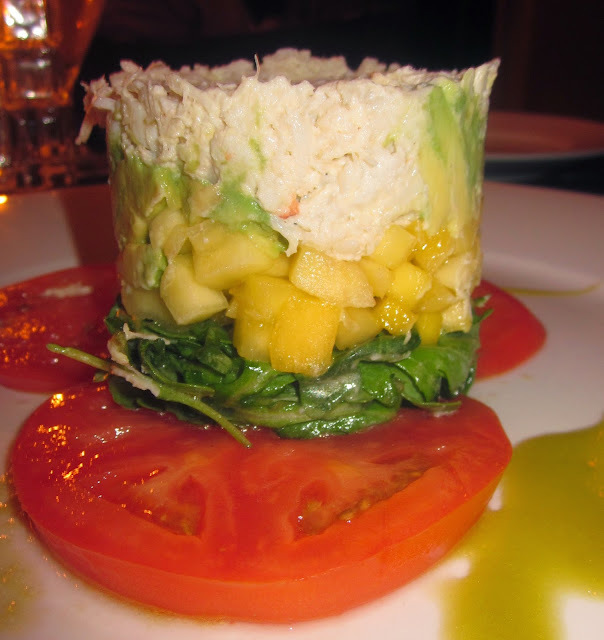 The crab tower was awesome which was also stacked with avocado and laid on a bed of spinach and tomato. Simple yet very visually appealing (and tasty). The butternut squash soup was to die for, which had blue cheese crumbles and little truffle oil drizzled on top. The chicken livers, which I wouldn't even touch, was consumed by Steve and I don't think he managed a single bite without a moan of content. My only complaint was our entree, the shrimp and grits. It was destined to be great... large succulent shrimp, perfectly cheesy grits and applewood smoked bacon... but there was too much barbeque sauce on top. When I say barbeque sauce I am not talking the traditional, I am talking the New Orleans style which is butter based with cayenne, rosemary and paprika, among other spices. It would have been a nice touch but the chef put so much, it completely overwhelmed the dish. 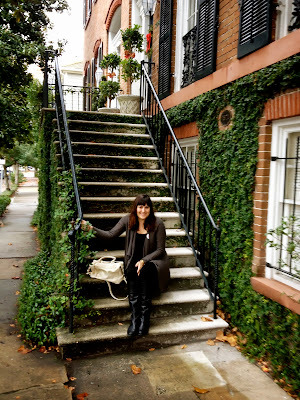 The next morning we took Old Town Trolley Tours through the Historic and Victorian districts of Savannah. It was really pleasant with great historic anecdotes. The night before at a bar talking to a few locals, I found out about a burger joint called Crystal Beer Parlor that was near trolley stop 4. When we walked in the ''local-yocal' spot, which was the second restaurant in Savannah to open after prohibition, it was probably the busiest place we encountered on our trip. Steve and I had the crab stew to start with, which was so indescribably amazing and has been named by many the house specialty. Steve ordered the fried pork chops for his lunch which turned out to be actually coated and deep fried (similar to Southern fried chicken)!!! As for myself, I got a burger and fries which was cooked exactly how I requested and slathered in cheese and bacon. 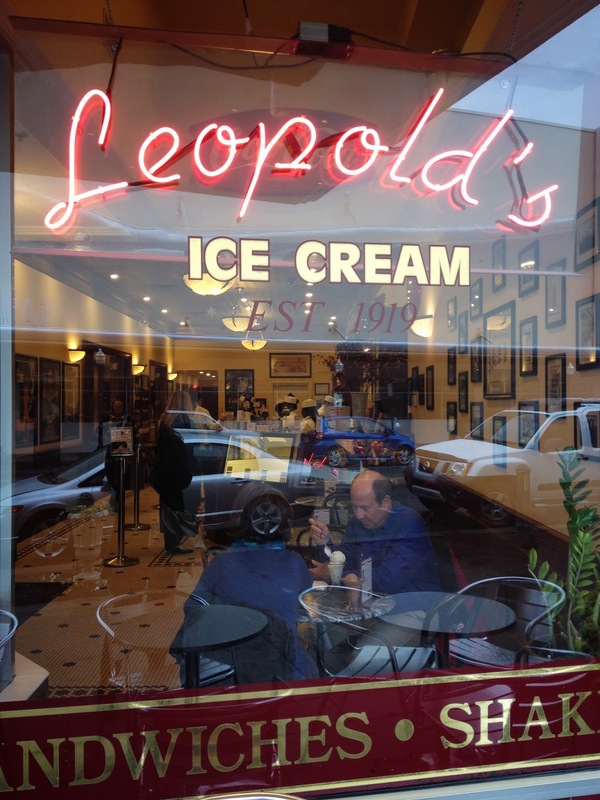 Final stop before heading home was Leopold's for a hot fudge sundae. Johnny Mercer, a famous Savannah native, best known for penning and singing Moon River and Jeepers Creepers, frequented Leoplod's for treats in his day. 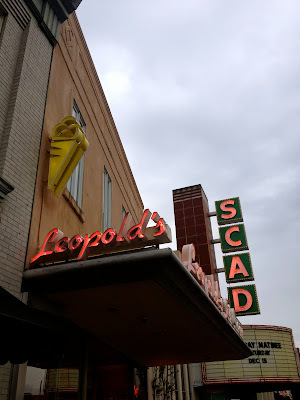 After hearing about Leoplod's for about the fourth time, I decided full or not we had to go try it before we hit the road. 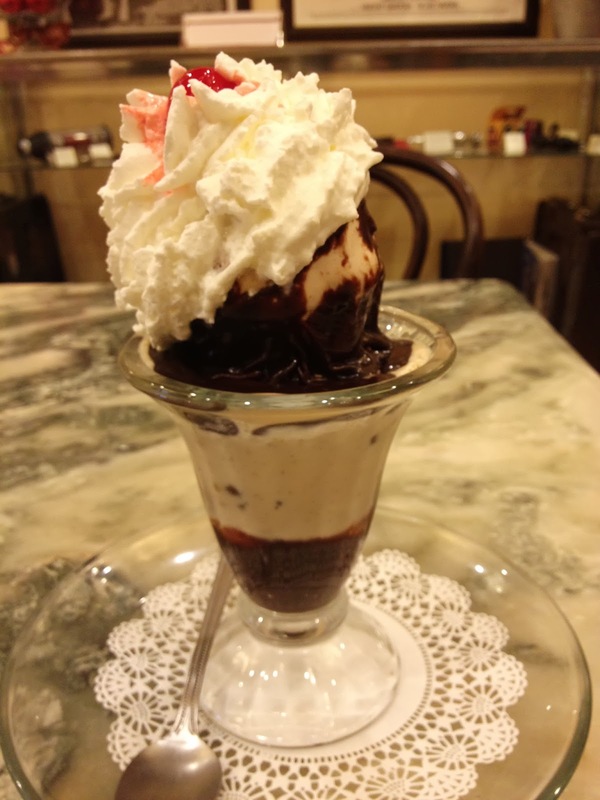 It was charming and I must say, the actual chocolate fudge on the sundae might be the best I have ever had. 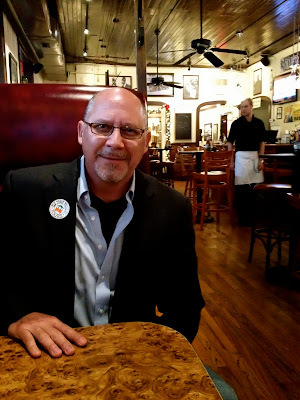 For a very cool vibe with live music every night check out a tapas and jazz spot called Jazz'd. 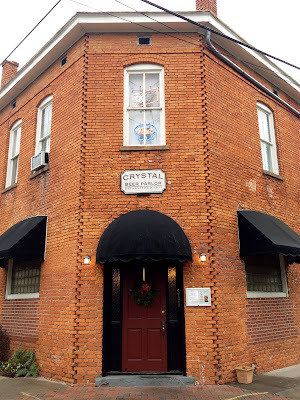 Steve and I stopped in for a cocktail and would definitely go back. Lady and Son's is Paula Deen's restaurant and a complete tourist trap, but people I talked to that had been said it was actually good! For night life, up and down Congress street there are several bars and restaurants, along the section behind an area called City Market. 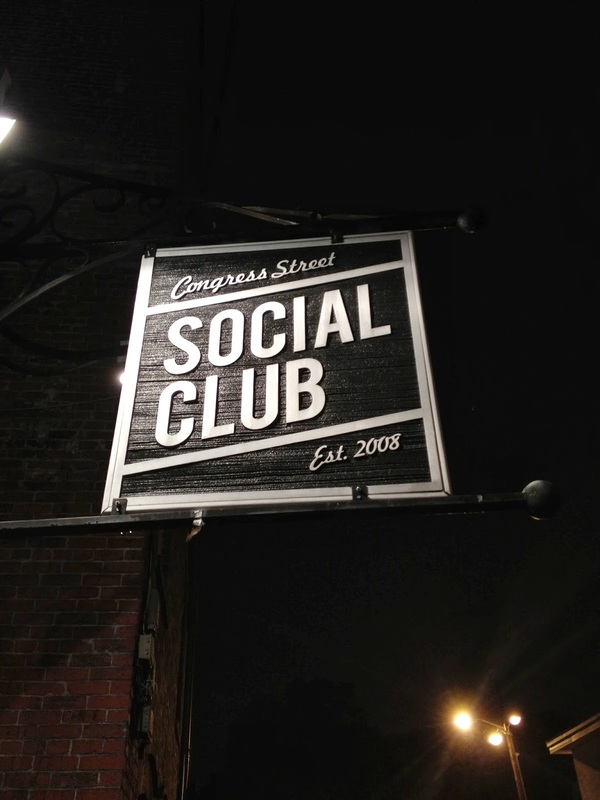 Our favorite stop on Congress was the Social Club. 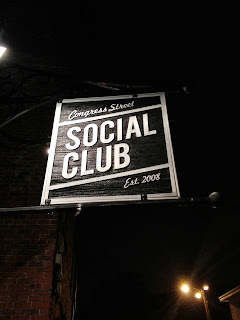 It was like a large pub, with a modern update, giant outdoor area, big beer selection and awesome service.